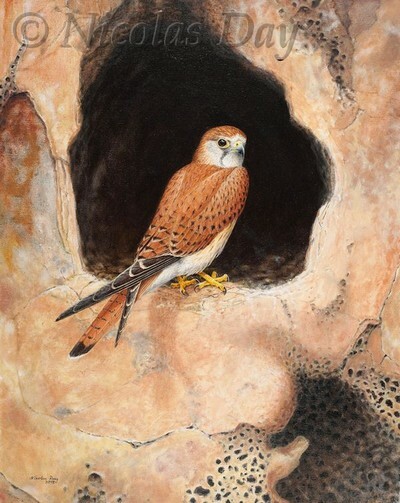 Nankeen Kestrel print from original painting by Nicolas day. 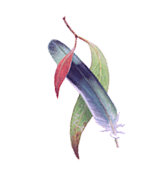 This is only one species of kestrel in Australia. The Nankeen Kestrel occurs throughout the continent although rarely in Tasmania. Like most kestrels it prefers open country. I have kept road injured kestrels and made many sketches whilst they recovered prior to release. The setting for this picture is a part of the coast near where I live, and kestrels are always to be found. The cliff ledges, outcrops and caves provide shelter and nesting sites.